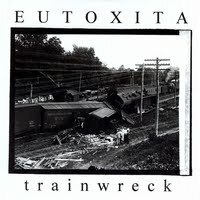 EUTOXITA is the A.K.A. for James White... me. So why EUTOXITA? The simple answer is that my real name is ridiculously common. Also, the name "Jim's Big Ego" was already taken. I've been a musician for about 25 or 26 years, as the crow flies. I co-founded the band Naked back in the early nineties. That morphed into Picasso Blue and a few other names and lineups. I later co-founded the bands Buzz Mingler and Wicked Automatic. Eventually I fell in with the late, truly great Turtlebone. These days, I am an independent musical artist (James Blanco, Bird In The Badlands, EUTOXITA trainwreck) and producer (Kevin Farley's The Invisible Thread). I am also a member of the bands Floodwatch and Those Charming Deviationists. I dabble in filmmaking, both animated and educational. I'm currently getting quite a few hits for my educational hip-hop song, "5 Themes of Geography", available for viewing on YouTube and TeacherTube. YouTube offered me revenue sharing, but I have so far declined, as I hate those little pop-up ads. Ironically, TeacherTube didn't ask--they just threw an ad on and I get no share! Floodwatch's David Steadman and I are currently working on a side project called My Father's Guns (not to mention revamping Floodwatch...). I'm currently in preproduction on my next solo CD. I love parentheses and ellipses.